Meijer is having a promotion starting tomorrow (7/13) where you can earn a $10 coupon for your next order when you purchase $50 in Huggies diapers or wipes. Plus, you’ll get $50 towards your Meijer mperk Baby Rewards. If you are not signed up head over here. Earn back a $10 catalina coupon that is valid off of your next in-store purchase, plus you’ll have $53.94 towards your Meijer mperk baby reward. Final cost: $20.94 for six packs of diapers! Just $3.49 per jumbo pack! I counted $5 on the mperks baby reward since you can earn $10 when you reach $100. 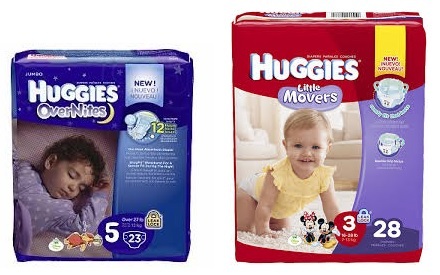 ← Huggies – Free Diaper and Wipes Sample!